Let’s talk GarageBand first. 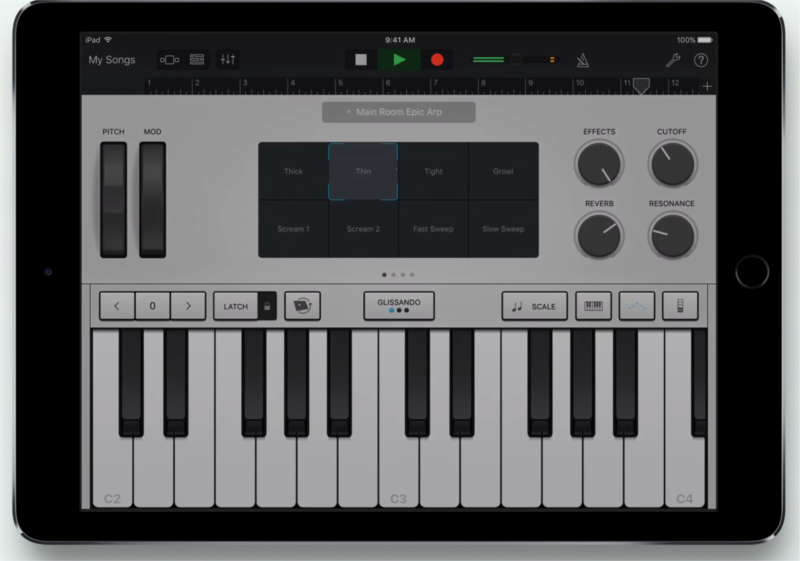 The big news here is baking Alchemy, the synth Apple acquired, into GarageBand on iOS. That will do little to comfort Alchemy fans who previously had access to this synth anywhere on desktop, as a plug-in. 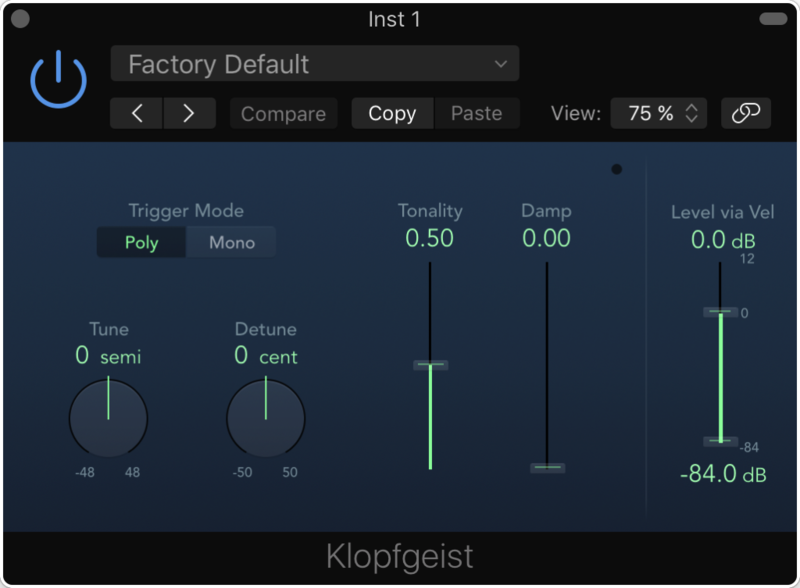 And it seems that you’re limited to Apple’s presets, though – I’m curious to find out if it’s possible to port your own parameter settings, because that’d make this a great mobile performance solution for Alchemy fans. 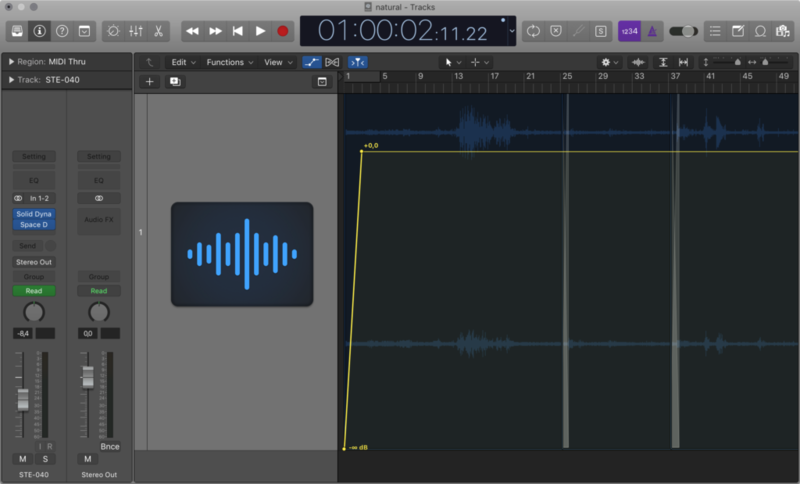 Alchemy could be a new reason to download GarageBand on iOS. Also, Apple has unveiled iCloud sync for projects. This lets you open (apparently stripped-down) Logic projects on your iOS device, lay down new tracks on the go, and then see those recorded tracks appear automatically back on your desktop machine running Logic. If GarageBand is a mobile recording tool, even for pros, then it’s significant that the new release also updates recording functionality. There’s Multi-Take recording, plus a re-vamped Audio Recorder with built-in effects (including pitch correction, plus distortion and delay). Of course, in these regards, Apple’s biggest competition may be the array of third-party tools on the iOS App Store. What’s interesting about both these announcements, though, is that they subtly change GarageBand’s role in Apple’s music ecosystem. 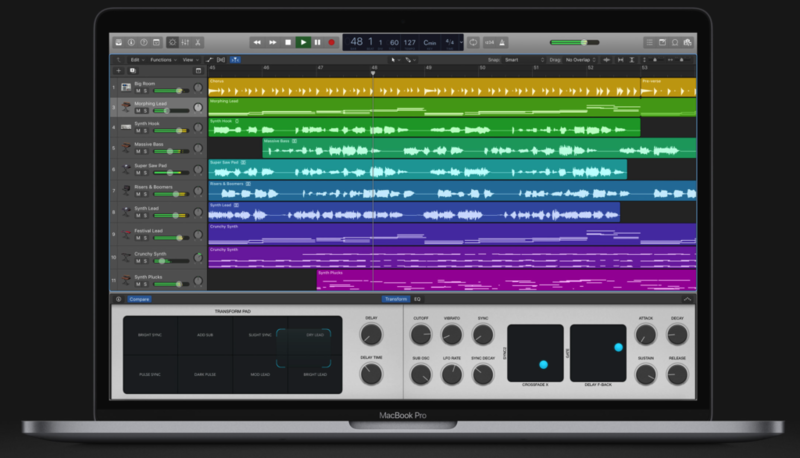 From the beginning, Apple had positioned GarageBand as a kind of gateway drug to Logic for newcomers – start with GarageBand, graduate to Logic. And accordingly, the two have always shared a code base and functionality, not to mention being managed by the same people. 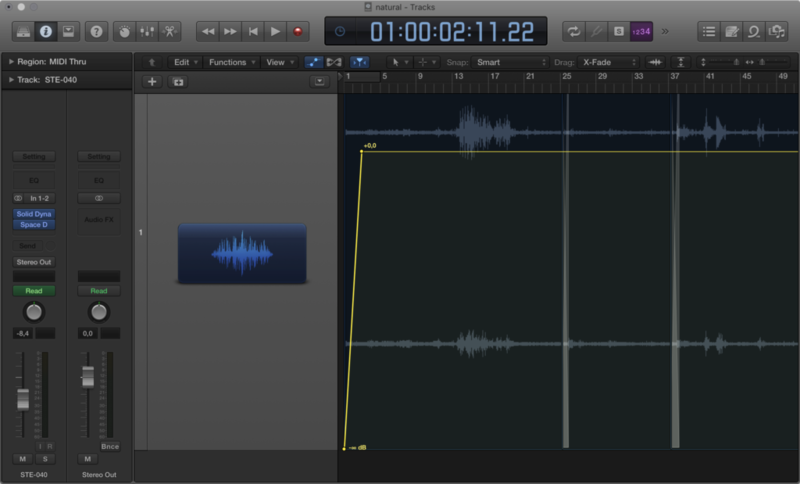 But now, GarageBand is also more clearly a mobile satellite to Logic, both with Alchemy and the recording features. Apple has been updating all its creative apps with a new UI, and for once, reviews have been pretty overwhelmingly positive. The changes in Logic aren’t radical this time so much as aesthetic. But aesthetically speaking, they’re a lot clearer – and look gorgeous on Retina displays. UIs are bigger, flatter, and crisper, generally. Here’s a comparison, just looking at one track / channel strip. Now, at last, Apple has finally gone through its ancient UIs and given them a refresh, too. That applies to almost every old Emagic-era (pre-Apple) plug-in, too. Welcome to the future. Klopfgeist (aka my favorite plug-in name ever) has never looked better. Not every corner has been covered. A small handful of synths retain their original look. I spy with my little eye a really old Emagic UI. But it’s pretty astonishing having watched Logic’s slow evolution under Apple – with the ongoing involvement of some of the Emagic personalities who first created the tool. What impresses me is that now people talk about how “easy” they find Logic and its UI. Ten and fifteen years, you would hear people joke about even the word “logic” being in the title. There are still a lot of choices in DAWs, and I hardly find Logic perfect. But maybe what’s encouraging is that a big, legacy DAW can evolve. The Touch Bar on the new MacBook Pro now gives you the option of moving through arrangements, accessing Smart Controls, and even playing instruments and drums, in addition to keyboard shortcuts. Now, if you’re on a train or bus or airplane, I can imagine using it. We may get a review unit at CDM for a longer-term test. But I have to observe, I think Logic Remote, the iOS control app, is still a more versatile option, by definition. It gives you multi-touch, lots of real estate and touch area, and reasonably expressive music input, plus the same Smart Controls mapped to the Touch Bar. Also, since it’s wireless, it’s going to be more convenient in studio situations when your laptop may be some distance away. It’s not only skin-deep. The new Logic also has some big production improvements. You can use Track Alternatives for switching between sets of regions and edits, to try what-if scenarios with an edit. 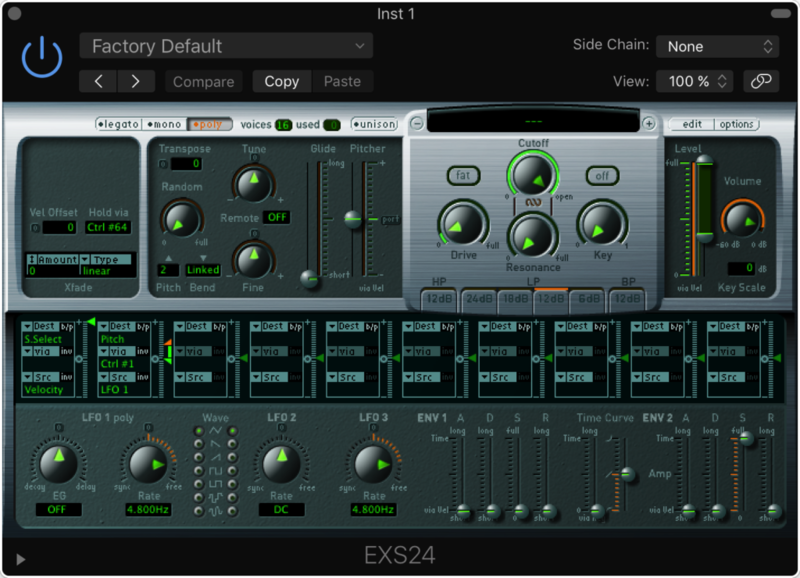 You can also bounce selectively – rendering a combination of plug-ins to audio by selection. And in a big workflow time-saver, you can apply fades across multiple regions at the same time (finally). The UI itself offers new improvements – for instance, you can at last see waveforms and MIDI content while trimming, for easier visual edits. Oh yeah, and – Music XML import, for notation users. All the updates are available now via the App Store. Oh, PS, I wouldn’t read too much into this, necessarily, but — for the first time, Apple quotes Susan Prescott who’s vice president of Applications Product Marketing. We’re more accustomed to hearing from Apple’s music product people.